We need to talk about political propaganda in the UK. The newspaper industry in particular has diminished into little more than a cabal of second rate political pamphleteers. Consider the recent, almost comic, blanket coverage of the SNP’s slight disagreements over support for Alex Salmond generated front page headlines proclaiming civil war in the SNP. Then compare that to the un-sensationalised reporting of the actual political civil war with the Labour party in Scotland with Kezia Dugdale stating that “you can’t trust Labour” and Anas Sawar finding out he had lost his front bench role via Twitter, and its clear the mainstream news agenda is clearly anti-SNP and anti-independence. Add to that the wilful ignoring of the Tory party dark money scandal and Ruth Davidson’s flip flopping on Brexit and we can see the bias as clear as day. It’s not just the media though. 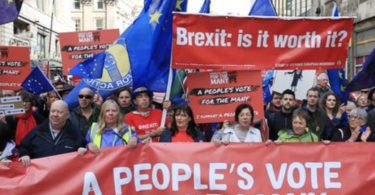 When politicians lose the trust of the people, when they have no unifying vision and where they find themselves faced by a disillusioned and frustrated population, obviously, they fear for their jobs and propaganda becomes the control mechanism of choice. We typically think of propaganda as a tool of dictators and despots – and it often is. Freedom of the press is the corner stone of any democratic system. Yet propaganda does not require direct governmental control over the media. It simply requires the media of a nation to have the same goals as the government and for them to be willing to mislead readers to help achieve that goal. That is the type of propaganda we see in the UK. Dictators directly control the media. However, democratically elected governments can, in some cases such as the UK and USA in particular, achieve the same result by allowing the media to be owned by billionaire businessmen who seek to profit from promoting and even influencing government policy. In the UK, the state broadcaster is living on a reputation for quality and in-depth news coverage that has long since abated. The BBC and BBC Scotland have many staff clearly still dedicated to the principles of impartiality but the people at the top are less principled and have ushered in a corporate culture of Britishness at a time of crisis. This can be seen in the lack of understanding of Scottish issues, the emerging dominance of programming with the word British in the title, but even more so the soft lines taken on UK Government incompetence. The BBC have become far more interested in sensationalism, celebrity and royalty than you would expect a serious publicly funded news outlet to be. Such criticisms of the BBC are commonplace, but usually dismissed as sour grapes by those with a conservative (small ‘c’) outlook whose trust in the BBC seems unbreakable. But now it’s not just political rivals but their media rivals that are starting to reach the same conclusion. 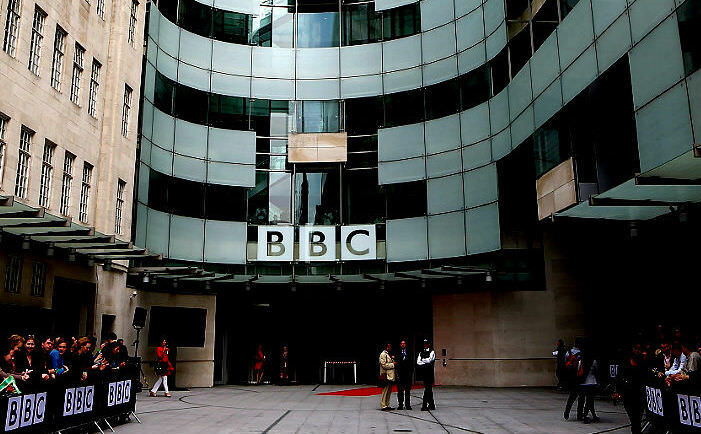 Then Channel 4 political editor and 2018 journalist of the year Michael Crick tweeted: “If Number Ten is not careful it could soon look like the BBC has become the state broadcaster.” I have news for you, Michael, it is the state broadcaster. They are not controlled directly but in times of emergency (and Brexit and a Scottish independence referendum certainly constitute that) they reel in the criticism and spread propaganda, simply reporting what was said rather than investigating, criticising, educating and informing. A few weeks ago Theresa May’s Salzburg visit was a humiliating PR disaster. After being ignored by EU leaders, May was told her Chequers plan was a non-starter. Every news channel and pretty much every online publication led with variations on May humiliated/May mishandled negotiations/May misread the EU by going over the heads of negotiators and trying to deal directly with heads of state. There was no other way to spin this – reporters looked stunned and even a little sheepish as they reacted genuinely and highly critically to May’s incompetence. The next day was even worse. 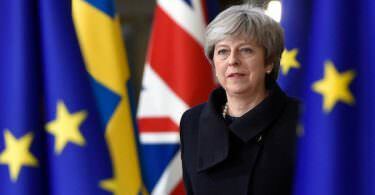 Theresa May demanded respect (that she clearly hasn’t earned form the EU) in her speech, threatening a no deal end to the talks – which would be an act of economic suicide, acceptable only to the most fervent British nationalists and separatists, and almost no-one in Scotland. It was a classic toys out of the pram moment. Frankly, Boris Johnson would have been hard pushed to shoot himself in the foot so many times and then hit back with such self-harming drivel. I expected the media to go to town, but no, they used positive words like “defiant”, when petulant would have been suitable. They said “she came out fighting” when they could have reported “she came across as bad tempered and in denial”. By the time the papers came out the next day the Daily Express front page was channelling Churchill and declaring that it was “Theresa May’s finest hour – The UK PM goes to war with the EU”. It was a disgraceful use of inflammatory language. The broadcast media fell into line, reporting her speech went down well in some quarters. Ah, so blame the EU and big up Britain thinks Downing street. So now we have a Festival of Brexit Britain being promised for 2022 to celebrate Brexit Britain’s independence from the ability to trade seamlessly with the rest of the world, grow our economy, subsidise food production, staff our NHS and hire hard-working Europeans to do seasonal labour and look after our old folk. Such an event will be used in media lectures the world over for decades as a case study in desperate, thoughtless, low-rent propaganda. I mean what’s next? A military parade with nuclear missiles on the back of launch vehicles going slowly down the Mall to be waved at by the Royal family? “I won’t agree to a deal that will break up Britain” the PM said. She doesn’t need to – a festival celebrating the UK Government acting against Scotland’s best interests both economically and socially, and erecting a hard border in Ireland, would do exactly that without any helping hands from the EU. Now her dancing on to stage at the Tory Conference was used by the media to distract us from the lies on austerity and her somewhat triumphant self-harming declaration that the UK was ending freedom of movement – possibly one of the greatest political achievements of our generation and a key benefit to actually being European. People notice when one of the All Under One Banner or Yesbikers go past. They notice the absence of reports in the media or the wildly inaccurate understatement of the numbers therein. Scots have broken public trust in the media. I have been saying recently that the lies need to get bigger, and so more noticeable. People are noticing the propaganda, little by little; that is eroding trust. Then more receptive to engagement. One thing we should remember is Hitler’s quote in 1935. “The more you repeat a lie, the more people will believe it. And the bigger the lie they are even quicker to believe”. It’s scary to think that this Westminster government and its hangers on like Johnston, Rees Mogg and Davies, are reciting some absolute whoppers of lies and so many Brexiteers are happy to believe them.